The deadline to submit an abstract was September 15, 2018. Once you have submitted your abstract, you will receive an automatic email confirmation. If you do not receive an email, please email the Conference secretariat. 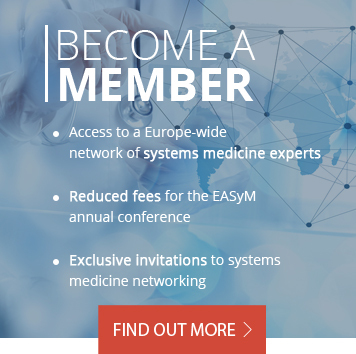 The EASyM Poster Prize (250 Euros) will be awarded to the best poster exhibited at the conference. Deadline abstract submission, withdrawal and change of abstract content. Abstracts entered but not submitted by this date will be discarded. Notification of abstract scheduling/rejection to submitting author. Deadline registration for presenting authors Necessary to ensure abstract scheduling. Abstracts will be published in the journal of Systems Medicine.